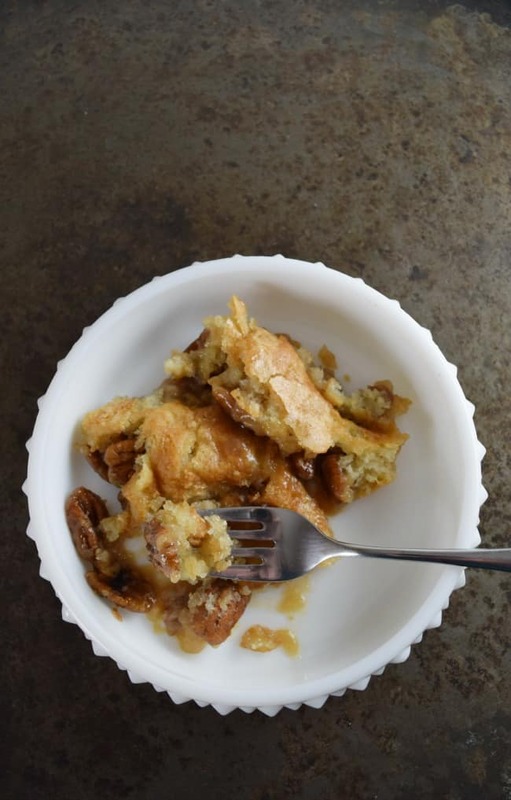 Pecan Cobbler makes having the taste of pecan pie so quick and easy. A great dessert to feed a whole crowd. This recipe takes the pecan pie to a whole other level. 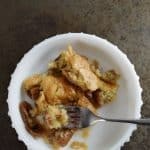 I figured since the peach cobbler is one of our best recipes here on the blog, with well over 300,000 shares. That you all would enjoy another one of our favorite cobbler recipes, the pecan cobbler. If you are like me and your favorite part of the pecan pie is the inside (not the crust) then I think you will really enjoy this recipe. It’s delish! 1 1/2 cups pecans (I honestly don’t measure I just spread it around to cover the dish, but approx 1 1/2 cups) You can also chop these if you would prefer that over whole pecans. 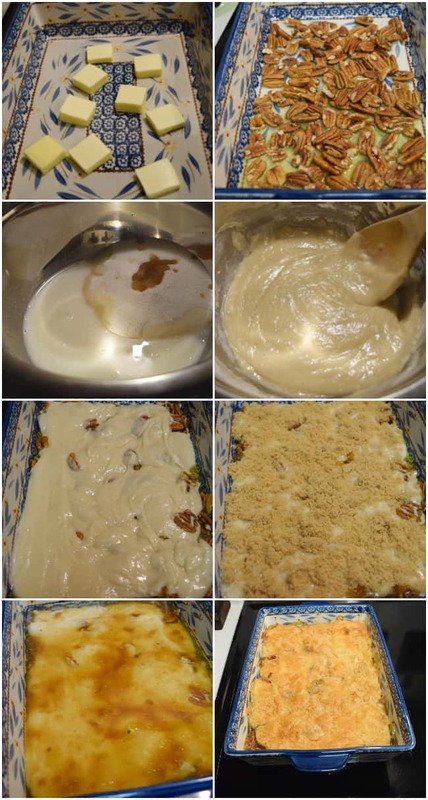 Add your butter to a 9×13 inch casserole dish and allow to melt. You could also melt the butter in a microwave and pour over into the dish. But melting in the casserole dish just saves you extra dishes to clean up. Once you have the butter melted you can layer your pecan in the bottom of the pan. In a separate bowl mix together the flour, sugar, milk, and vanilla. Once combined, pour the batter over top of the pecans. You can gently spread the batter if you need to but do not mix. Sprinkle the brown sugar over the top and then pour the hot water over the top of the brown sugar to allow it to dissolve. Do not stir it together, just allow it to sit on top. Bake for approximately 35 minutes. Your pecan cobbler will be done when the inside is no longer jiggly and the outside is a nice golden brown. Add your butter to a 9x13 inch casserole dish and allow to melt. You could also melt the butter in a microwave and pour over into the dish. Melting in the casserole dish just saves you extra dishes to clean up.